Tis the Season for Rosemary! Happy Holidays! This attractive evergreen herb boasts numerous needle like leaves and an incredibly fragrant aroma. Long-lasting and durable, this aroma-therapy herb has a concentrated fresh flavor that compliments a wide variety of foods. 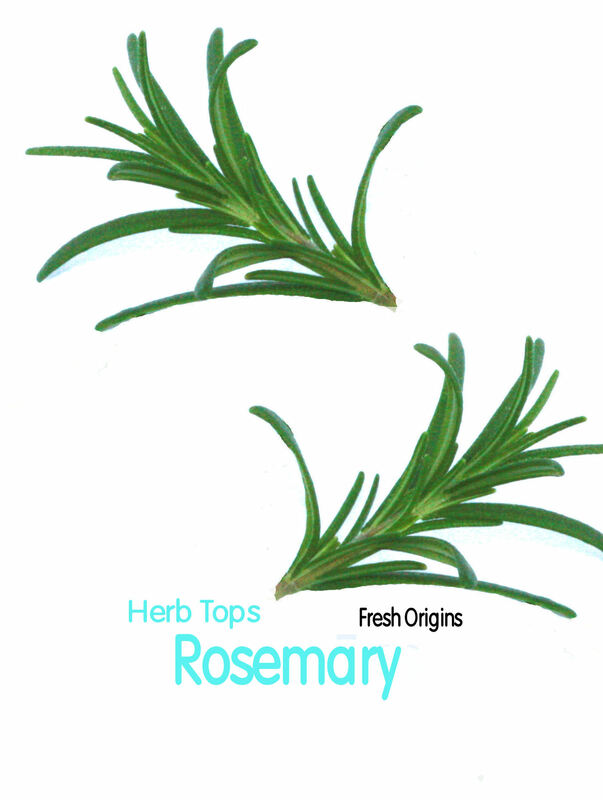 Rosemary is not only an aesthetically pleasing garnish, but is also a fabulous seasoning when cooked with food. Fresh Origins Rosemary Tops have more tender leaves than regular full sized rosemary, without the hard stems but still contains a concentrated great flavor! Here are some of our favorite Rosemary Recipes! Enjoy! Put an oven rack in the lower 1/3 of the oven. Preheat the oven to 350 degrees F.
In a small bowl, add the Dijon mustard, whole-grain mustard, honey, garlic, and Rosemary and mix together until smooth. Arrange the pork in a 9 by 13-inch baking pan and spread the mustard mixture evenly over the pork. Starting on 1 side, lay a piece of bacon, lengthwise, on the pork. Lay another slice of bacon on the pork making sure to slightly overlap the first piece. Continue with the remaining bacon, until the pork is fully covered in bacon. Using 3 pieces of kitchen twine, secure the bacon in place. Roast for 1 hour. Cover the pan, loosely, with foil and roast for another 10 to 20 minutes until an instant-read thermometer inserted into the thickest part of the pork registers 160 degrees F.
Remove the pan from the oven and transfer the roast to a cutting board. Cover the pan with foil and allow the pork to rest for 20 minutes. Remove the kitchen twine and slice the pork into 1/2-inch thick slices. Garnish with Fresh Origins Rosemary Tops. Remove the backbone and wings from the chicken. Press the chicken open like a book. Carefully remove the bones from the chicken leaving the whole chicken intact with the skin. In a small bowl, combine the goat cheese, rosemary, and olive oil. Season with salt and pepper and mash together. Turn the chicken over so the skin side is up. Gently loosen the skin by inserting your fingers underneath it to make a pocket. Stuff the rosemary goat cheese under the skin evenly over the breasts and legs. Tuck the skin back over the chicken. Season both sides of the chicken well with salt and pepper. Drizzle a little olive oil over the chicken and rub well. Heat oil in saute pan over high heat. When the pan is hot, add enough olive oil to coat the bottom of the pan. When the oil is hot and begins to shimmer when swirled, add the chicken, skin side down. Cook the chicken until the skin side is a deep golden brown, about 8 to 10 minutes. Carefully turn the chicken over and transfer to the oven. Roast for 10 minutes, or until the chicken is cooked through and the juices run clear. Remove all but 2 tablespoons of the fat from the pan and return to the heat. Add 1 tablespoon of the butter and the shallots and saute for 2 minutes, scraping the bottom of the pan with a wooden spoon to loosen the browned bits. Add the mushrooms and season with salt and pepper. Saute for 2 minutes, or until the mushrooms begin to brown. Add the stock and bring to a simmer. Cook 5 minutes or until reduced by 1/3. Stir in the remaining tablespoon of butter and remove from the heat. Pour the sauce over the chicken and garnish with Fresh Origins Micro Chivesand Fresh Origins Rosemary Tops. Pound chicken breast halves, one at a time, between 2 sheet of plastic wrap, until each piece of chicken is 1/8-inch thick. Stir together the 2 tablespoons flour, salt, and pepper in a shallow container. Heat a large saute pan over high heat. Dredge chicken in flour mixture, shaking and removing any excess. Saute chicken in 2 tablespoons oil in the hot pan until browned, about 2 minutes per side. transfer chicken to a warm plate, cover with foil to keep warm until ready to serve. In the same pan used to cook the chicken, saute onion in the remaining 2 Tbsp oil over medium heat until translucent, 3-5 minutes. Stir in the 2 teaspoons flour and Rosemary; cook 1 minute, stirring constantly. Deglaze the pan with broth, bringing liquid to a boil and cooking until mixture is slightly thickened. Stir in beans, kale and chili garlic sauce; cook until kale is wilted, 1-2 minutes. Remove pan from heat; stir in parsley. Season cannellini and kale with salt and pepper; serve with chicken cutlet. Combine water and sugar in a small saucepan; bring to a simmer, stirring sugar until it dissolves. Remove from heat; add Rosemary, let stand 30 minutes. Strain through a sieve into a bowl; discard solids. Pour 2 T pomegranate juice and 1 T rosemary syrup into 4 Champagne flutes or glasses. Top each serving with 1/2 cup Champagne. 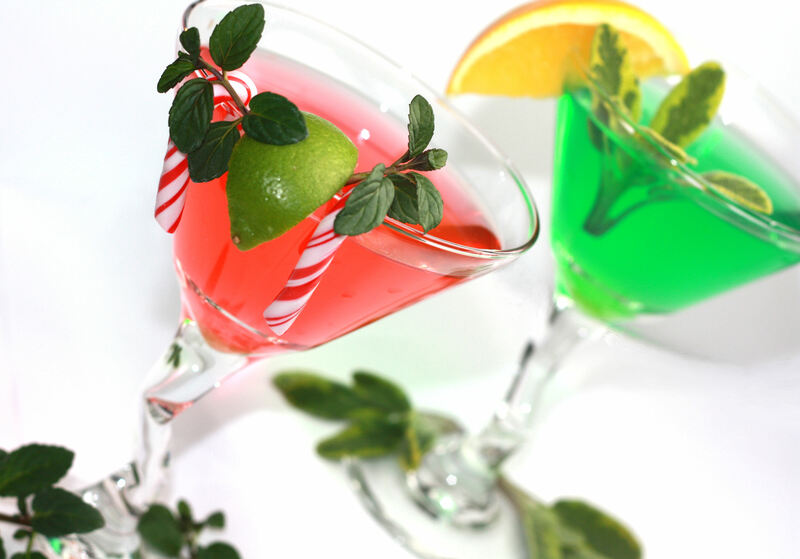 Savor the Season with these great cocktails garnished with Fresh Origins herb tops! Combine ingredients in a cocktail shaker with ice. 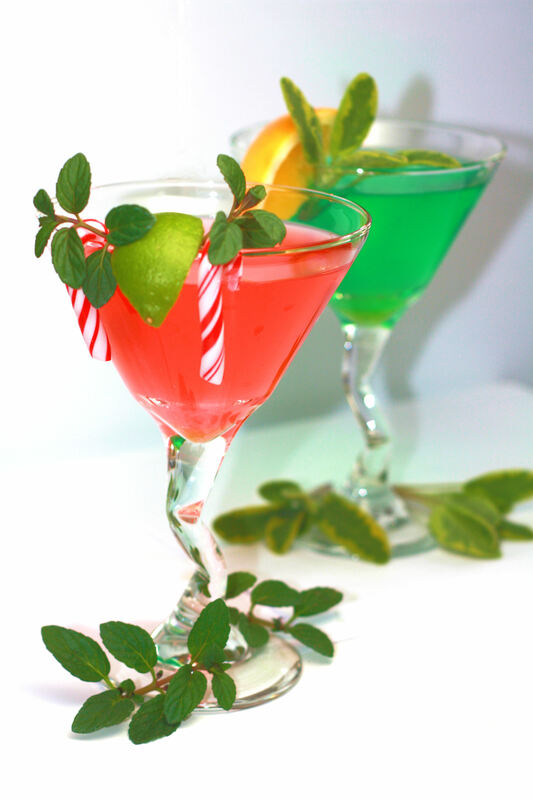 Strain into a chilled martini glass, garnish with two candy canes and Fresh Origins Mint Peppermint Tops. Combine ingredients in a cocktail shaker with ice. Strain into a chilled martini glass, garnish with a lemon wedge and Fresh Origins Sage Gold Tops. Combine ingredients in a cocktail shaker with ice. 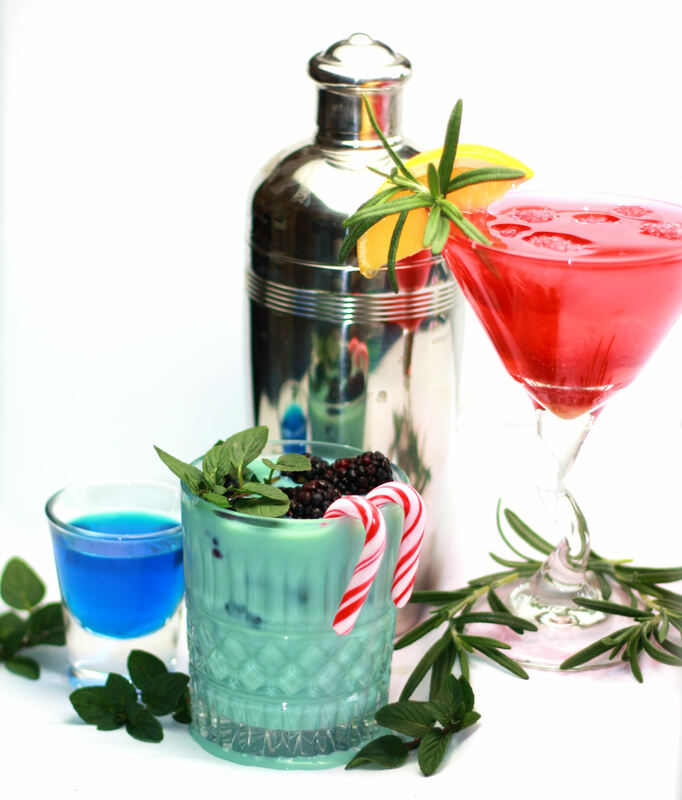 Strain into a chilled martini glass, garnish with raspberries and Fresh Origins Rosemary Tops. Combine ingredients in a cocktail shaker with ice. 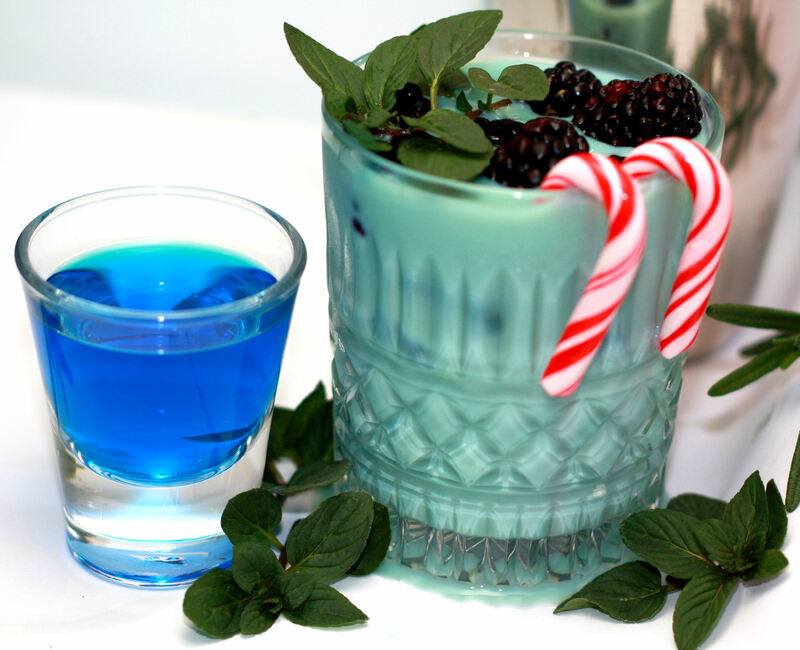 Strain into a chilled martini glass, garnish with blackberries and Fresh Origins Mint Chocolate Tops.